First Week is a campus tradition that both welcomes new members into the campus community and celebrates the students, faculty and staff that make the college such a special place. 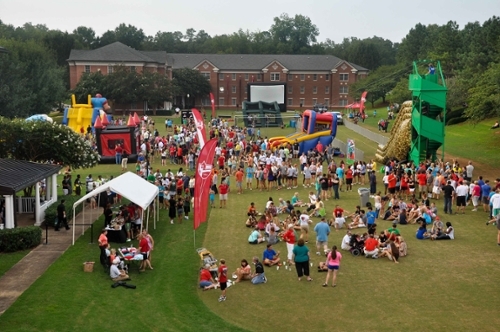 Although the majority of the activities are specifically designed for incoming students, there are several events that are open to the overall student population. Upper-class students are welcome to attend the Spirit & Traditions Kickoff, the Beach Bash, as well as all late-night activities. Faculty and staff—and their families—also join in these events.